Azoland Pictures has announced that they will be screening the BanG Dream! 5th Live Delayed Viewing in the United States and Canada. The 5th Live features two bands from the franchise, Poppin’ Party and Roselia. Both bands star in their own live concerts and will be screened on different days. 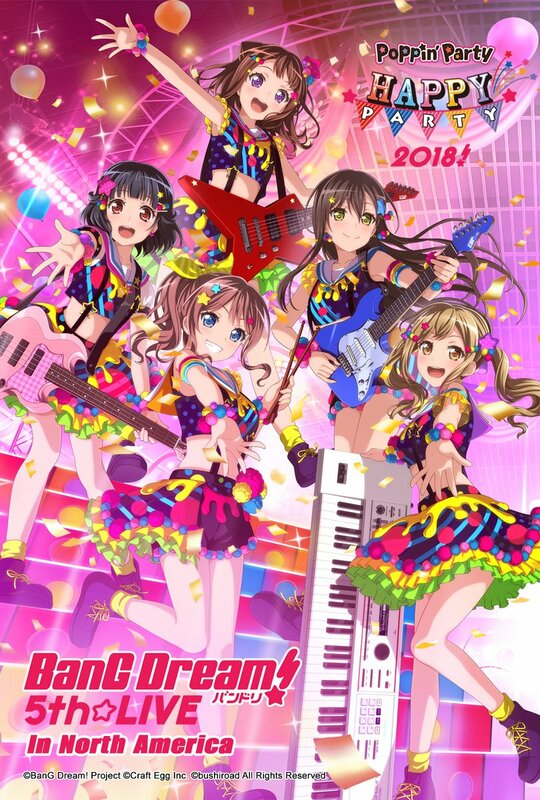 The Poppin’ Party Happy Party 2018 concert will be shown on Saturday, September 8, in both the US and Canada. Those who attend will receive a special card featuring Poppin’ Party while supplies last. 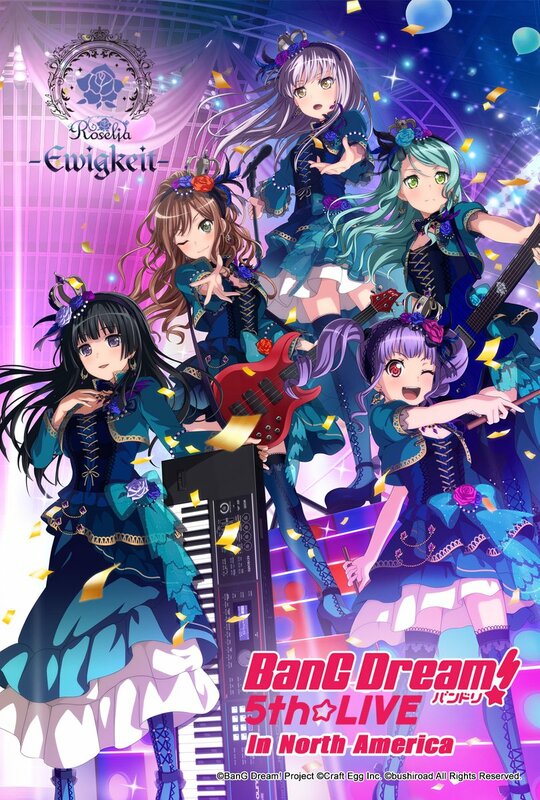 The Roselia -Ewigkeit- concert will be shown on Saturday, September 15, in the US and Sunday, September 16 in Canada. Those who attend this showing will also receive a card, this time featuring Roselia. Both shows will feature THE THIRD(TBD) as an opening act. The MC portions and intermissions will include English subtitles. Tickets for the BanG Dream! 5th Live Delayed Viewing are on sale now. You can check out a list of theaters screening the concerts on Azoland Picture’s event page HERE.